Research suggests that altitude causes changes in cellular metabolism, activation of the central nervous system and peripheral pathways. As a result, staying at altitude for just a short period of time can have a positive effect on long-term health and maintenance of weight loss. The fresh alpine air, increase in red blood cell production and spa treatments enables your body to cleanse itself of harmful toxins. The MTZ Medical Therapy Centre Spa treatments combine the most advanced medical technologies with the properties of millennium-old traditions. The springs in St. Moritz are the highest-altitude therapeutic springs in Switzerland. These carbonated waters have provided health benefits to numerous royal households worldwide for thousands of years and are the natural treatment agent included in many St. Moritz spa treatments. Once we arrive in Zurich we will make our way to St. Moritz. This journey will allow you to sit back post flight and take in the spectacular alpine scenery. Once we arrive in St. Moritz we’ll make our way to the funicular railway that will take us to Muottas Muragl (2,456m) and the spectacular scenery overlooking the upper Engadin. This funicular ride is truly a breath-taking experience and is renowned worldwide for its panoramic views of this alpine region. The contrast of green forests, ice blue lakes and frozen mountain caps is truly beautiful. The funicular will take you up to a point that will enable you to peer across the numerous summits of this Swiss region. From here we’ll make our way to the Romantik Hotel situated at 2,456m. This unique hotel sits on one of the most beautiful vantage points in the Engadin St. Moritz region. Here we will rest, acclimatise and enjoy the evening peering over St. Moritz from the mountains. An expedition leader will give you a brief of the week ahead in the evening. After breakfast we’ll start to prepare ourselves for a walk around the area. Depending on what time of year you choose to go, there are various trails we can discover. The Muottas Muragl Climate Trail offers a stunning view of the Bernina massif, one of the highest mountain ranges in the Alps, covered with many glaciers. Of particular interest, this trail is also scattered with information boards that explain the effect climate change is having on the beautiful surrounding landscape. We’ll work with you to pick a trail that suits your ability to make sure you get the most enjoyment out of the day. In the evening we can unwind in the hotel’s panoramic restaurant enjoying fine food and drink. Today we’ll make our way back down to St. Moritz via the funicular railway. Here we’ll visit the MTZ Medical Therapy Centre Spa where we’ll be able to enjoy a treatment of our choice. The doctors at the medical therapy centre combine the most advanced medical technologies with the properties of millennium-old traditions. Ranging from warm stone therapy and mud baths to vitamin and protein hot body wraps, this is certainly the place to relax after our mountain escapes. Post treatment we’ll make our way to the Berghaus Hotel in Diavolezza (3,000m) via cable car, that offers further fantastic views of hanging glaciers, walls of ice and snowy white peaks. Here is where we’ll spend the next few days. The area that surrounds Diavolezza offers multiple activity options for you to choose from. In the summer there are various hiking trails to get involved in from the Diavolezza to Munt Pers trail to the glacial hike from Diavolezza to Morteratsch. Hikers are also rewarded with the option of enjoying Europe’s highest- lying barbecue site at 3,066m on Sass Queder. In the evenings before or after dining, the hotel offers you the chance to relax in its panoramic Jacuzzi that stands on the hotels sun terrace. Let the 41-degree bubbles and the crisp mountain air soothe you as you enjoy the unrestricted views of the Bernina massif and Piz Palü. If you’re feeling adventurous there is also the possible option of climbing a Via Ferreta. These climbing routes were originally designed for soldiers in the first and second world war to carry supplies to their allies across the Alps. After breakfast we’ll make our way back down to St. Moritz via cable car. We’ll enjoy another spa treatment at the MTZ Medical Therapy Centre Spa to mentally and physically recuperate us post decent. Once we have had enough pampering, we’ll check into high-end accommodation where we will be staying for the next two nights. We’ll finish off the day by dining in one of St. Moritz world-renowned restaurants to celebrate the penultimate day and our accomplishments over the past week. Today gives you the chance to explore St. Moritz at your own leisure. In the town itself, you have the chance to follow the Romans' example and try one of the rich mineral springs, such as St-Moritz Bader. The town also holds the Segantini Museum, which is a memorial to the artist Giovanni Segantini who spent the last 5 years of his life in the Engadine. The building was constructed in the style of the pavilion Segantini had planned for his Alpine Panorama, which was to have been exhibited at the 1900 Paris World Exhibition. 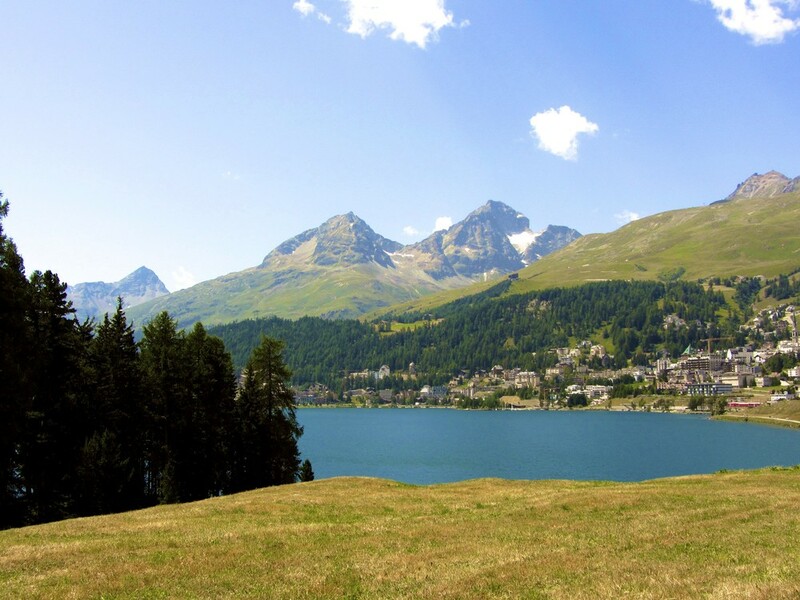 The surrounding area of St Moritz offers gentle walks with spectacular scenery. On the east side of St Moritz Lake are the Meierei hotel-restaurant and café where you can stop for lunch. Nearby, there is also an open-air swimming pool that offers what has to be the world’s best swimming setting. After breakfast we’ll make our way back to Zurich and fly home. Walking trials, climbing routes and open air panoramic Jacuzzi’s. From £4,700 per person based on two people sharing (£880 single supplement), this includes international flights with British Airways from London Heathrow (flights from alternative airports worldwide possible), an Expedition Leader from ‘The Adventure Boutique’, local guides, accommodation, scheduled meals, tips for the local staff and local transportation. A non-refundable deposit of £1000 will be required. Do I need to tip the Expedition Leader? Tipping the Expedition Leader is at your discretion but will be much appreciated, especially after you witness their dedication and professionalism in looking after you and ensuring your happiness. Throughout the experience, you won’t need much spending money as the trip is comprehensively covered in the initial cost. You may require money for the very occasional meal not shown on the schedule and any alcoholic drinks. The last day you will have the chance to explore St. Moritz at your leisure, so please take into account you may want extra money at this point. The Adventure Boutique team will give you a full comprehensive kit list when you sign up and be on-hand if you have any questions before the expedition. You should not need to have specialist travel insurance for this type of holiday. Please check with your travel insurance that you are covered for hiking up to 3,500m above sea level. Should you wish to participate in the optional Via Ferrata climb, then you will need to check this with your travel insurance arrangements. If you do not have adequate insurance cover, The Adventure Boutique team can refer you to appropriate insurers. The minimum age is 16 years old accompanied by a legal guardian or 18 years old otherwise. If you have children and want to bring them, our specialist team can help facilitate this for you. We would be happy to make necessary arrangements to accommodate a young person into a private group. You'll mostly find phone reception during your trip. However, this may not always be the case when in the mountains. We specially carry a satellite phone in case of emergencies, but we also realise people may need to keep in touch with their loved ones or have some work commitments to deal with. The satellite phone can be used for a charge.